As a fourth generation Floridian, Nell Lewis McGuire learned early in life the duty of responsibility and the role of making the community a better place in which to live. It started when her great-grandfather, James McMillan, homesteaded in Jackson County. He became a Florida Legislator in the 1800s, and participated in the adoption of the Homestead Exemption Act and obtaining the Charter for the East-West railroad system. Her father deceased when she was 8 years old. Her mother and mentor, Ida Burke McMillan, instilled in her family the love of God, respect for all mankind and the obligation to make the world a little better just because of the privilege of living in it. Nell, a retired educator, began her career in Jackson County where she was proclaimed the youngest teacher in the State of Florida. As an educator in Broward County, she served as a classroom teacher, supervisor of English language arts, assistant director of curriculum for Broward’s 108 elementary schools and school principal. Under her dynamic leadership, Tropical Elementary School in Plantation received many national, state and local awards for excellence in education and outstanding academic performance. She is listed in “Who’s Who and Why of Successful Florida Women.” Nell was one of the first women inducted into Phi Delta Kappa, an honorary educational fraternity, co-founded the Broward County Chapter of PDK, and chaired the International Scholarship Selection Committee for PDK. She was privileged to be one of the eight educators selected to serve on a national panel with George Gallup to determine the questions to be used on the annual Gallup survey, “Public Attitudes toward Public Schools.” She holds a Bachelor’s degree in elementary Education, a Master’s degree in Administration and Supervision and a Doctor’s degree in Education Administration. Involvement in South Florida has been extensive for Nell, serving as a trustee, director, president, officer or member of a myriad of non-profit organizations. 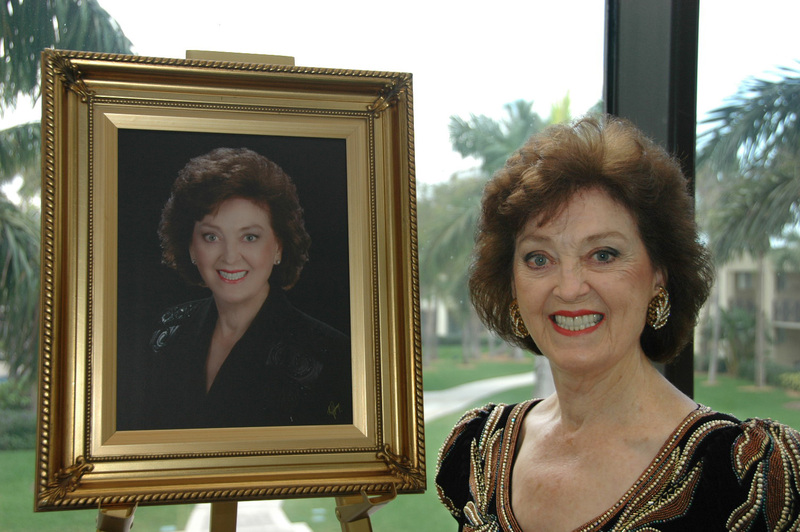 She is a supporter of the Florida Grand Opera, Miami City Ballet, Royal Dames of Cancer Research, Inc., American Cancer Society and Freedom’s Foundation at Valley Forge. Nell served as a trustee for the University of Miami Medical Training and for the Rumbaugh/Goodwin Institute for Cancer Research. She is a member of the Board of Trustees for Nova Southeastern University. Nell is married to Robert McGuire, M.D. They are devoted to their five children and six grandchildren. Nell and Bob enjoy traveling, the performing arts, golfing, reading and just hanging out together. The flame of the torch of community duty and responsibility must burn from generation to generation. To this end, Nell has successfully passed the mantle to her children and grandchildren.